Rise Gear makes bags and suitcases that are like a portable closet. Pack your items into the interior shelves, then hang them up at your destination. 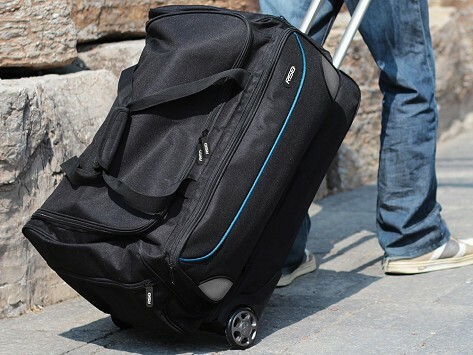 The Roller is designed to be your ultimate travel companion for long trips with smooth rolling wheel system and a drop bottom duffle for extra storage. 2 deep side pockets and a long front pocket for all your small items like hairbrushes, chargers, etc. What a great idea! So easy to pack and unpack and use while on vacation. Will be buying another one.